For those who are moving from Hawaii to New York, it is certainly not an easy task. No matter how much you plan ahead to make the move easier, the fact is that an interstate relocation is always going to be tough. Don’t leave anything for the last minute! Properly plan all aspects of the move well in advance. Start off by making a list of things you need to do before moving, and move forward accordingly. Make a point to do a little research, and then decide whether it will be economical for you to bring all of your belongings such as your appliances, or if it would be more cost effective to sell them and purchase new ones upon arrival. This will help to minimize the moving time and cost. It is no secret that the cost of living in New York is higher than Hawaii. Make sure you plan your budget and finances accordingly to avoid any issues. 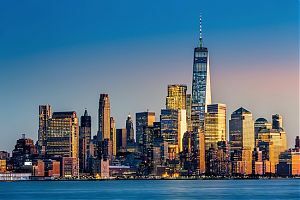 It is recommended that you have living accommodations arranged prior to moving from Hawaii to New York. If there is a delay between your moving date and your move in date, make sure to prepare a hotel or other accommodations well in advance. FInding and utilizing the right moving company is going to be extremely important for this type of move. If handled incorrectly, it can be disastrous as far as timing and the safety of your belongings. 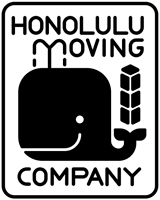 Among the numerous interstate movers in Hawaii, you can rely on Honolulu Moving Company for the best services. We are know for our long-distance moving services. Because of the top quality service we can provide, we have become a trusted name for moving in Hawaii. For us, nothing matters more than the satisfaction of our clients. This is why we strive to go above and beyond the standard to provide an unparalleled moving experience . In addition, we can offer this service at very affordable rates, so you will not have to worry about breaking your budget. Contact us now to get a free quote or for more information on our services!